This August, we will have been Oakland residents for five years, and it’s taken me until just about right now to get used to the subtle shifts of the seasons. Soon after we arrived, I remember asking our friend Jon, also from Michigan but here a couple of years before us, what happens in the Bay Area when the seasons change. It was late summer, and he responded with the disdain that only a child of the Midwest on the cusp of what would most decidedly not be a dramatic autumn could have about the woes of excessively temperate weather. Nothing! he said. This still feels a little true come September, but I’m finding that the turn of the seasons feels more dramatic to me each year. I have to tune in, pay closer attention, limit my expectations. But the differences are infinitely clearer to me now. Sure, summer in the Bay is not the technicolor magic of the Midwest—a Michigan summer is truly something to behold. Yet it’s something, in the air and the way the clouds move and the few degrees of temperature. The dizzying array of produce has its own particular magic—I just picked up my first figs of the season at the market—and if I really want to be warm, all I have to do is swing up north or south or inland. 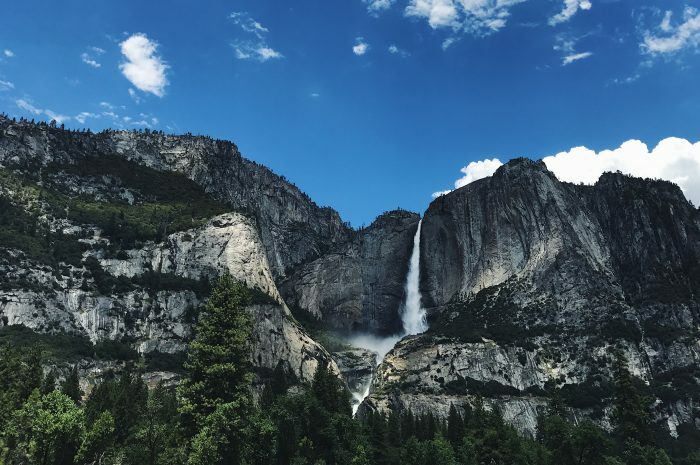 We took a short trip to Yosemite (photo below) when Ben’s parents visited earlier this month, and that felt like summer to be sure. And it’s in the little stuff, too: the picnics, the composed salads, the extra bottles of rosé in the fridge. We’re drinking Cynar and soda, sitting on the stoop, slicing tomatoes. I’m wearing summer dresses and shaving zucchini and cucumbers into crisp delicious ribbons for lunch most days, dousing them in a creamy avocado-lime dressing. We walk in the late summer evening, relishing the long golden hour and enjoying other people’s gardens. Here’s what I’m saying: I’ve gotten used to California, finally. But that’s not the only thing at work here. We create this stuff as adults; it isn’t handed to us. The seasons might be mighty or mellow, but the routines and rhythms that define them are ultimately in our hands. I think our twenties are a lot about figuring this out, discovering the boundaries between what the world is like and how we’ve experienced it to date, figuring out little by little by little how we want our own lives to look. And me? I want tradition and celebration and also routine—and all of this with feeling. I want the seasons, the rhythms, something to look forward to around each corner. Sure, weather helps. So too the academic calendar. But it wasn’t just vacation and the warm weather that I loved as a child in Michigan. It was the rare treat of homemade ice cream churning noisily on the deck, running through the yard with my sister, sweet rhubarb cake disguised as “bread,” lunch every single day with my mom, bare feet rainbow-dusted with chalk, peach and blueberry cobbler, traveling with my family to visit relatives in South Dakota, summer camp in the woods or on the basketball court far too early in the morning, corn on the cob on my face, my dad’s goofy uncontainable joy when he too was on vacation, sprinklers, fresh fruit by the handful. Lucky me, to be given all of that. And that brings us to cake. This is a cake for any season, but it is particularly well suited to summer, the time of picnics and backyard parties and stoop-sitting and all the rest. It is hearty and sturdy, quite perfect for such things, and very tasty, too. Here’s to making it a glorious season. I have also made this with slightly less sugar (down to 200 grams, and I wouldn’t hesitate to go further), but I’ve listed the original quantities of sweetener below. Any sort of yogurt will do; I used low-fat this time. Orange zest is tastiest, but lemon will certainly do the trick if it’s what you have around. 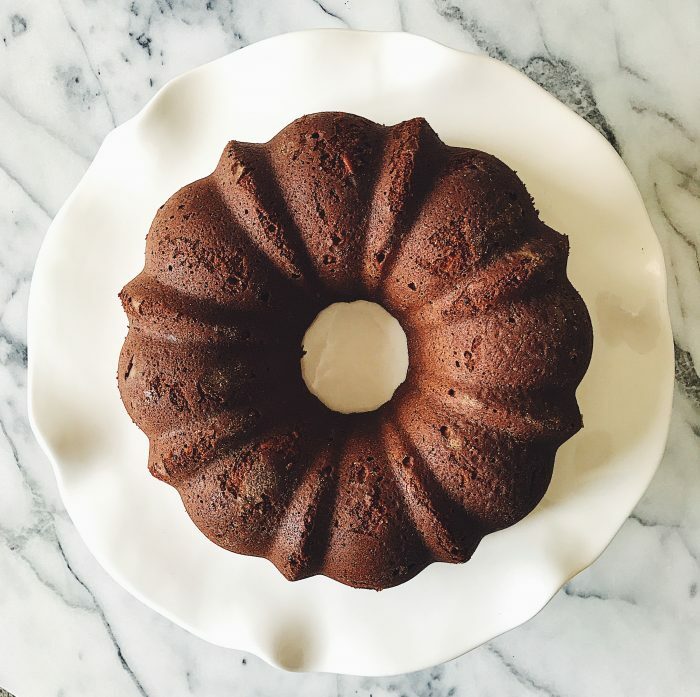 Liberally butter a 10-cup Bundt pan (or equivalent), dust with flour and set aside. In a medium bowl, combine the rye flour, baking powder, salt, caraway seeds, sesame seeds, sunflower seeds, pepitas and zest. By hand, or with an electric mixer or a stand mixer fitted with the paddle attachment, mix together the butter and sugar until light and fluffy. Beat in the honey and vanilla extract, then add the eggs one by one, fully incorporating each before adding the next. Add half of the flour mixture and mix until incorporated. Add half of the yogurt and mix again. Scrape down the sides of the bowl, then repeat with the remaining flour and yogurt. Pour the batter into the prepared pan, smooth the top, and knock the pan against the counter to get rid of any air bubbles. Bake for 50 to 60 minutes, until a tester inserted in the center of the cake comes out clean. If it’s browning too quickly but the cake isn’t yet set, tent the pan with foil. Let the cake cool in the pan on a baking rack for about 5 minutes, then turn it out to cool completely on the rack. Serve plain, or with strawberries and something creamy (yogurt, crème frâiche, whipped cream, etc.) alongside. I love reading about your happy childhood memories! But you are right, we have to create our own fun and memories as we get older. Your California routines sound delightful.